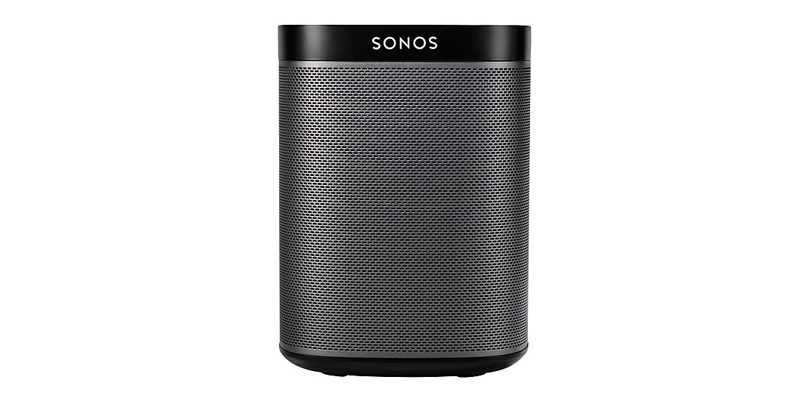 This Wireless model is the latest Sonos HiFi system which offers the same epic HiFi sound but in a more compact design. Sonos claim that no other wireless speaker packs so much HiFi sound in to such a small device and that is not just marketing hyperbole, the sound from this potable device is crystal clear at any volume with a thundering bass sound. This versatile wireless speaker design uses custom tuned drivers and software to deliver crystal clear sound and deep, rolling bass. The Trueplay technology works in the background to fine-tunes the Sonos speaker to deliver a flawlessly perfect playback just as the artist recorded it. The Sonos PLAY:1 is designed to work with iPhone and iPad only, the technology continually listens and detects any distorted sounds using sensors and automatically adjusts the speaker settings using smart software to be true to the sound. No technical skills are needed for speaker set up, as the software plus regular updates ensure that every speaker is simple to set up perfectly, with these features and services ensuring that your speakers will simply keep getting smarter for as long as you own them! The free Sonos app does a great job of gathering all your music together in one place on your smartphone or tablet, so all your favourites are easily accessible on the move in the rooms where you want to listen, plus you get access to over 100,000 internet radio stations worldwide. Whatever you are listening to, you are guaranteed to get crystal clear HiFi sound quality from this simple to set-up wireless speaker system with 2-Year warranty. It looks cool in a minimalist kind of way too, plus is compact and lightweight at just 1.8 Kg and measuring 16.2 x 12 x 12 cm. Costing from around £150, the Sonos is not cheap, but it does deliver!